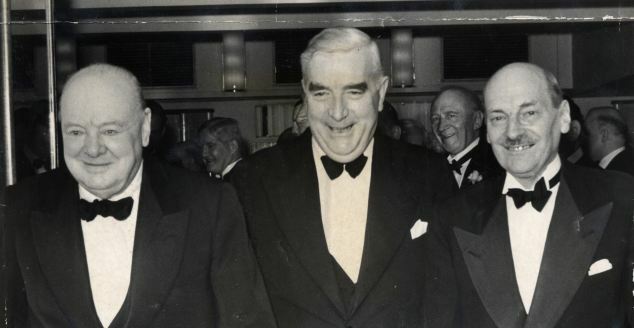 Featured Image: Churchill and Attlee flanking Australian Prime Minister Robert Menzies during World War II. Churchill’s views on India were very much conditioned by his first-hand experience of that country. When he was a young man in India, the Empire was at its most self-conscious, and, being at the height of its strength, was liberal (though paternal), not reactionary and repressive. For Winston, the British Empire, Free Trade, the expansion of opportunity, world order, the progress of man, and war on cruelty and injustice, all went together, with his vision of England, so to speak, crowning everything. He never really grew up to the view that, for instance, Indians did not see things like this, and that by the time he had got to middle age the facts of life had changed, that the role of Britain in the Empire had been altered altogether. The first time I saw Winston was at the time of the Sidney Street siege in 1911. He was in one part of the street, directing operations, and I was some distance away among the onlookers. Earlier, when, since my father was a Gladstonian Liberal, I had become a Conservative, I admired him. A young Tory myself, I praised Winston as the kind of chap who was saying what ought to be said. By the time he had left the Tories over Tariff Reform in 1905, I had become a socialist, and frankly Liberals and Tories were all the same to me: I was against them both and they had too much in common for me to care which of them Churchill belonged to. During the First World War, as I have said, I took a favourable view of Winston. He was probably the only member of Asquith‘s Cabinet who had a grasp of strategy. (Asquith himself had none.) He showed the same strategic grasp in the Second World War. His policy of exploiting our success in Africa and of striking at what he called the soft under-belly of the Axis power was sound. It was entirely in line with the strategic lessons of our past. We had succeeded by exploiting British sea-power. The Tories, of course, pretended to be furious with Winston at the time of the First World War because of the mishandling of the Gallipoli campaign. In fact, what they were knocking him for then, and ever since, was his defection from the party. 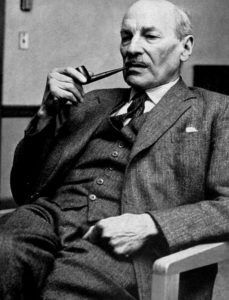 If the Gallipoli issue had not coincided with Asquith’s crack-up, and the subsequent squabble over how many Tories should be included in the new coalition government, Winston’s reputation would probably not have suffered anything like so badly. On the other hand, his policy of attacking the Soviet Government in 1919 was in disregard of all the lessons of history. Extreme pressure always consolidates a revolutionary regime by evoking patriotism. I became strongly anti-Winston during the events which led up to the General Strike of 1926. Winston, of course, was held up as the hammer of the unemployed. In my view a lot of this was nonsense. Winston’s feelings towards the miners were much more sympathetic than those of some of the Tories who made sorrowful speeches about them. After the strike was over, he was outraged by the way some of the mine-owners behaved to the miners. Lloyd George displayed no enthusiasm, but dutifully went round to the Home Office. He found Winston up in his room, on all-fours, with large-scale plans of various railway stations and goods yards spread in front of him, and small blocks of wood, representing troops, being moved in and put into position. “It’s off, Winston,” said Lloyd George. “Bloody hell!” said Winston, or words to that effect: then he got up and kicked the troops and the maps across the room. Winston had become so enthused about his job that he wanted to go ahead and finish it. Animosity against the strikers had nothing to do with it. He must be held responsible for the disastrous return to the Gold Standard in 1925. Winston knew very little economics, and was completely out of his depth with finance. I think he regarded both subjects as tiresome and unnecessary intrusions into the real business of politics. He often said that he was led astray by his financial advisers at the Treasury and the Bank of England. Our next area of conflict was India in the mid-thirties. Dominated by his memories of India in the late Nineties, he was incredibly—almost comically—obscurantist about conditions in India in the Thirties. He used to have a certain amount of first-hand information and advice, about what was going on, but he used to get it from an extraordinarily blind and prejudiced group of Muslim reactionaries. He suffered, as many others did, from the idea, which at one time may well have been true, that you could divide India’s races into two, those races who would fight and those who would not—the “fighting” races, and the “non-fighting” races of India. Winston got it into his head that all the politicians of India came from the second group. He seemed to think that only the Muslims could fight. He made a number of grave errors when it came to judging Indian men and affairs. But he could learn—though sometimes he wouldn’t learn—and if he decided to eat his words he would do it without rancour or resentment. At a meeting of the Commonwealth Prime Ministers at Buckingham Palace once, it occurred to me that he and Nehru had never met. I said to King George VI, who relished this kind of thing, “Here’s a bit of fun: two Old Harrovians who haven’t met each other—Winston and Nehru, I’m going to introduce them.” “Go ahead,” said the King. I introduced them, and they got on splendidly. Winston said how he had admired Nehru’s courage in standing up to rioters and Nehru said he had enjoyed reading Winston’s book. They chatted most amicably and something like mutual confidence was established, and to the best of my knowledge never diminished. While on the subject I ought to say that when I became Prime Minister Winston gave me a great deal of trouble on India, and displayed to the full what I think was a serious defect: he was always rather a mischief-maker. When this streak in him was involved with a feeling that the wrong thing was being done, he could behave irresponsibly. When he knew what I was contemplating for India in 1947 he began to say in public that I was going to scuttle out of India and that I was refusing to take the advice of people like the Viceroy, Lord Wavell. As a matter of fact, at the time, Wavell was advising me to make a complete military evacuation. I had made up my mind not to take this advice. I thought it would be a good thing to tell Winston all about this, because I did not want him to cause difficulties for us through lack of knowledge, nor make a fool of himself. I asked him to come and have a couple of secret talks, giving him access to our information and advice. He came along and took full advantage of them. To my surprise and considerable disappointment, in spite of the understanding that this was all secret, he made speeches in Parliament quite at variance with the facts of which he had been told. This put me in perhaps the most embarrassing situation of my whole career, since I could not divulge in detail all the facts of the matter, and therefore could not give the lie to Winston. I find it very hard to forgive him for this. The extraordinary thing is that I can forgive him. Winston could get away with this. In any other man it would be damnable and utterly unpardonable. Rather than have access to information that might cause him to change his mind about something, Winston would sometimes prefer to be left in ignorance. He would rather give full rein to his prejudices than advocate a cause which, however well based, he did not personally care for. In other cases, even when the facts were made available to him, for some reason or other he seemed not to grasp them. He was very obtuse, for instance, before and during the Abdication crisis. There, of course, his emotions were involved. Compassion again. He was deeply concerned about the emotional plight of King Edward VIII, felt strongly that it was not right to keep him from the woman he wanted to marry, and equally deeply that Britain should not lose a monarch of outstanding gifts. Winston acted in a way that upset a great many political leaders, but it should be understood clearly that he made not the slightest attempt to make party politics of the occasion. To my mind he seemed terribly blind to public opinion. He did not understand, in spite of what the Commonwealth Prime Ministers said, that whatever their personal sympathies, public opinion was opposed not only to the King having Mrs. Simpson as his Queen, but to the idea of a morganatic marriage. The answer was, in the first place—a kick! Above all, he valued stimulus in another person—the stimulus of a fine brain, perhaps, of good looks, of mutual remembrance of exploits half a century ago in youth, of laughter, skill, courage—many things. But they all came down to—stimulus. And to those people who had stimulated him, encouraged him, stood by him, however long ago, Winston remained loyal. Unfortunately, Winston, in the course of taking his stimulus from some of these people, took other things as well, things which they were much less qualified to give. Beaverbrook is an excellent example. Winston liked Beaverbrook because he stimulated him. But he also took Beaverbrook’s advice. Beaverbrook gave Winston advice at the time of the Abdication crisis. He told Winston what the public felt. Of course, he was quite wrong. Beaverbrook continued to offer advice from time to time, and again, so far I know, he was usually wrong. It was Beaverbrook, as is well known, who advised Churchill on how to conduct his election campaign in 1945. I would not go so far as to say that Churchill could have won that election, though I think he might have, if he had gone about it properly. What I am certain about is that Beaverbrook ruined his chances. If he had taken a broad view of what the Conservatives should offer the electors in 1945, he would have done considerably better. But he chose to tighten the noose which the pre-war Tories had already put around his neck. His natural combativeness led him, once the campaign had taken shape, to press on with typical Churchillian élan, down the road to defeat. As I have said, he was not a good judge of public opinion, and I think that he was sufficiently out of date in his knowledge of the man in the street in peace-time to believe that the kind of nonsense he talked about police state versus Conservative freedom would work. Churchill often underestimated how much the voter was affected by bread-and-butter considerations, by fears for the security of his wife and children, health and education, and so on. But it wasn’t that Winston did not care about these things. Otherwise, he could not have helped Lloyd George build the Welfare State. Those people who claim that, as war-time premier, he was opposed to the Beveridge Report are either unfair to him or, more likely, do not know what they are talking about. Churchill was not “anti-Beveridge”. He kept, so to speak, pushing the Report away from him, because he wanted to get on and win the war. For this reason, since Winston and the Defence Committee were concentrating on the military aspects of the war, and since, as he himself says in his War Memoirs, John Anderson, Arthur Greenwood and I looked after nearly everything else, the Labour Party was very much more equipped to put the Beveridge Report into effect. I notice that Sir John Wheeler-Bennett, in his book on King George VI, observes that when the prospect of having Churchill for prime minister was mooted in 1940, a number of Labour leaders were averse to accepting Churchill because he had called out the troops against the miners in Llanelli in 1910. Dr. Hugh Dalton, Sir John says, and some other Labour leaders, would have preferred Lord Halifax as prime minister, with Mr. Churchill as Minister for Defence. He adds that King George VI certainly would have preferred this. I was certainly not among those Labour leaders who would have preferred Lord Halifax. To my mind, at that juncture, one requirement was imperative and overrode every consideration: we had to win the war. I was convinced that Winston Churchill stood head and shoulders above any other possible prime minister. I personally was relieved when I knew that he could have the job if he wished it. My own experience of the First World War, and my readings in history, had convinced me that the prime minister should be a man who knew what war meant, in terms of the personal suffering of the man in the line, in terms of high strategy, and in terms of that crucial issue—how the generals got on with their civilian bosses. I saw nobody around who could qualify except Winston. And I felt that he qualified superbly. This does not mean that I cared for everything he did as a war leader or would have tried to do it as he did, even if I had thought I could have succeeded at it. It also does not mean that he was a very easy man to work with. On the contrary, he was difficult. Nor does it mean that I subscribe to the view that he did everything, and in the manner, which his adulators have claimed for him. He did not always display a galaxy of virtues. Some of his weaknesses were prominent. Winston frequently used to lighten our work by flashes of humour. I recall something ecclesiastical coming up. There were a number of keen young churchmen in the Government. Winston said brightly: “This all right with the Church Lads’ Brigade?” Another instance was when a former Conservative stood as a Liberal at a by-election. Said Winston: “The only instance on record of a rat swimming towards the sinking ship.” But on the whole, he was tolerant. I think the comradely way in which he treated Herbert Morrison, who frequently rubbed up against him, was a good instance of this. Churchill, in spite of their clashes, felt much more warmly about Herbert than many people on Herbert’s own side. I think it was a pity that Winston could not have retired when he had won the war. I had seen enough of him during the war to be sure that unless there was a war on he would not make much of a prime minister. What Britain required when the war was over was an architect, somebody who could build new parts into our society, and repair damage. If he had not been so inveterate a politician, so imbued with political pugnacity, I think he would have seen this. And if he had seen it, I think he would have acted on it. I see no point in discussing him as a peace-time prime minister. As an administrative prime minister he was so far inferior to Peel, the greatest of them, that comparison is futile. He was miles behind Asquith as a peace-time prime minister. His postwar premiership, in fact, was a mistake from every point of view, and it is saying a great deal for the rest of his life that his record does not suffer from this enormous anti-climax. By any reckoning, Winston Churchill was one of the greatest men that history records. If there were to be a gallery of great Englishmen that could accommodate only a dozen, I would like to see him in. He was brave, gifted, inexhaustible and indomitable. “Talk not of genius baffled, genius is master of man. Genius does what it must. Talent does what it can.” These lines describe him. Energy, rather than wisdom, practical judgment or vision, was his supreme qualification. For energy I do not know who will rank with him outside Napoleon, Bismarck and Lloyd George. However, though his energy alone puts him in this class, it is not the full story of what he did to win the war. It was the poetry of Churchill, as well, that did the trick. Energy and poetry, in my view, really sum him up. Without Churchill, Britain might have been defeated. I do not say we would have been defeated. But we might have been. He was so perfectly suited to fill a particular need. The need was so vital; and the absence of anybody of his quality was so blatant that one cannot imagine what would have happened if he had not been there. I dare say we would have got along without him. There were certainly plenty of leaders whose nerves were as steady as his, had just as much belief in Britain’s cause, and were just as ready to fight to the bitter end. But there was no need of them because Winston was there. He was, of course, above all, a supremely fortunate mortal. Whether he deserved his great fate or not, whether he won it or had it dropped into his lap, history set him the job that he was the ideal man to do. I cannot think of anybody in this country who has been favoured in this way so much, and, into the bargain, at the most dramatic moment in his country’s history. In this, Winston was superbly lucky. And perhaps the most warming thing about him was that he never ceased to say so.